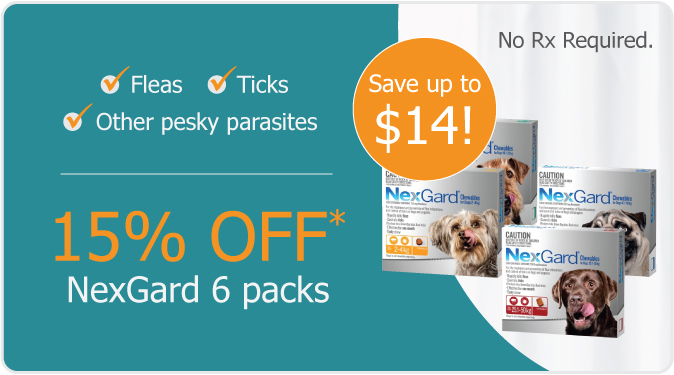 CanadaVet.com Blog: 15% off NexGard 6 Packs at CanadaVet! Is your dog protected from fleas and ticks this spring? 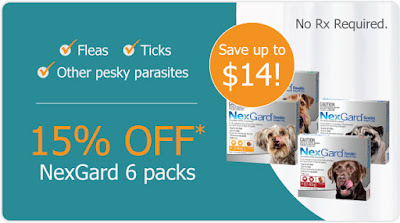 Visit CanadaVet.com to get 15% Off NexGard 6 packs. For access to more exclusive offers like this visit our website and sign up to our newsletter today!